Costs associated with the price of an item includes transportation, warehousing, labor and design. We save our customers money and resources every day in each of these categories. EnviroPAK’s molded pulp can reduce costs by as much as 70% when compared to other packaging materials. Since our molded pulp is made from 100% recycled newspaper (mostly post-industrial), our cost for raw materials have been very stable for years. We pass this savings on to you. 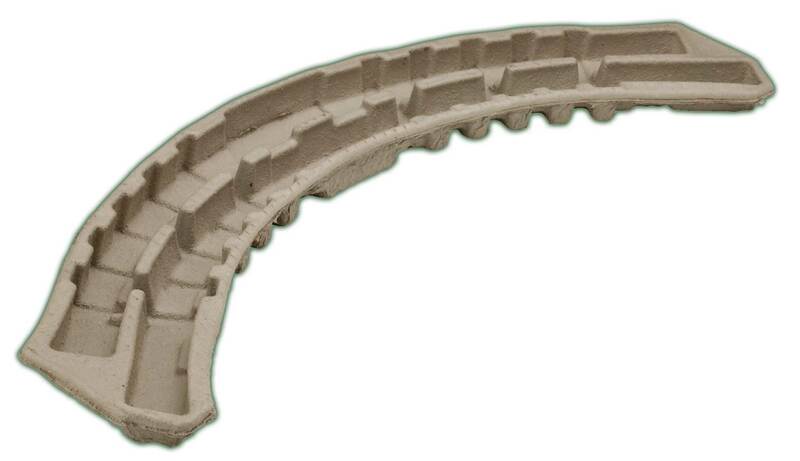 EnviroPAK designs our molded pulp packaging to nest and stack together. This allows for a greater quantity on each and every pallet enabling our customers to ship more per truckload. The cost savings for some parts can produce 50% less shipping volume, not to mention the warehouse space required for storage on your factory floor. Time is money and molded pulp packaging saves time at every step in the process. Expensive labor costs for assembly are eliminated. Shipments are less frequent which saves transportation time. Issuing fewer orders and invoices also leads to a reduction in administrative time. 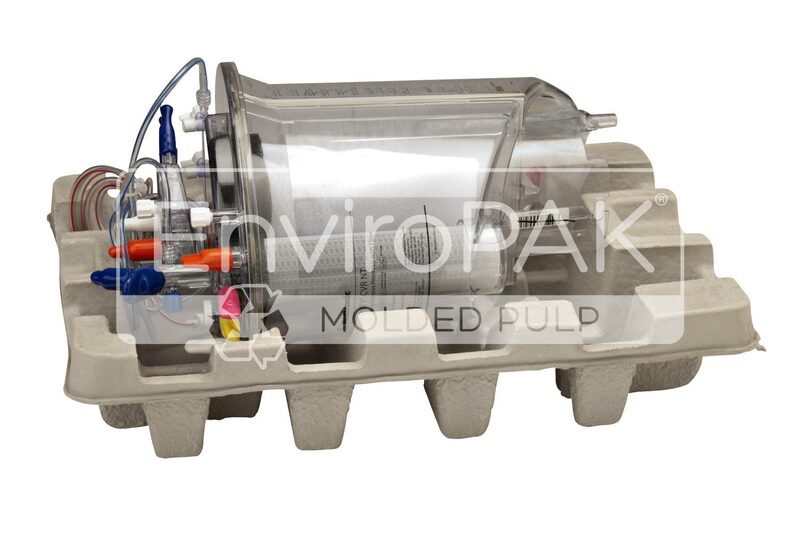 EnviroPAK’s molded pulp is ready to use when it arrives at the point of packaging. Some of the best ideas have been around for a while. Molded pulp has provided soft protection for eggs for over 100 years. It has exhibited superior performance in vibration tests and provides unmatched protection against the damaging effects of vibration and shock. Our custom pulp products have passed rigorous testing and have met requirements set by UPS, FEDEX, and ISTA. Less breakage equals fewer headaches. EnviroPAK’s molded pulp is chemically and electrically neutral and will perform in virtually all temperatures and humidity levels. At EnviroPAK, we repurpose nearly 20 tons of recycled newspaper per day and 4,500 tons per year. We feel pretty good about that and so should you. Our molded pulp is produced from 100% discarded post-industrial newspaper otherwise headed for a landfill. We produce environmentally friendly packaging meeting global standards and the expectations of environmentally sensitive consumers. In today’s business climate, states and even some European countries are mandating “earth friendly” packaging. Many global companies such as Wal-Mart have implemented policies and procedures that foster sustainability. EnviroPAK’s molded pulp will help you meet those new standards. We are proud that our industry-leading design and tooling team is located in house. This allows for fast and accurate design solutions. Utilizing state of the art CAD software, we can develop a design in just a few days. Unique to EnviroPAK in the industry, we produce “a tool for life” saving thousands of dollars over the life of a product.